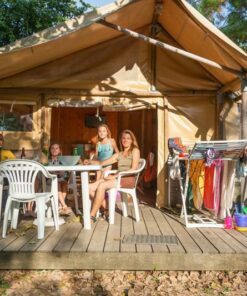 The Artzamendi 2-bedroom Lodge tent will accommodate 2 to 5 holidaymakers looking for originality and a change of scenery in Bidart on the Basque coast. 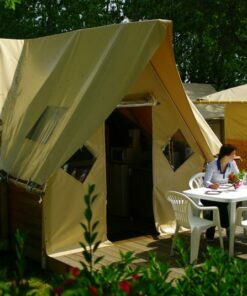 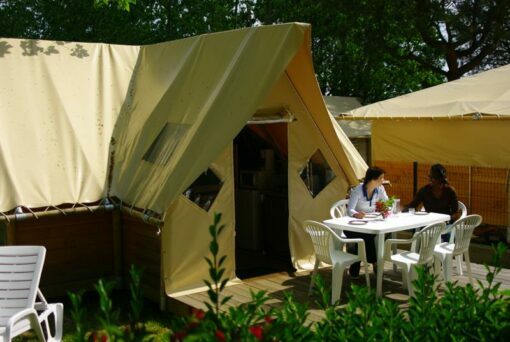 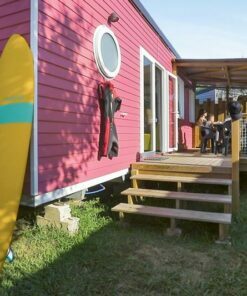 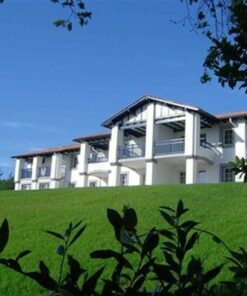 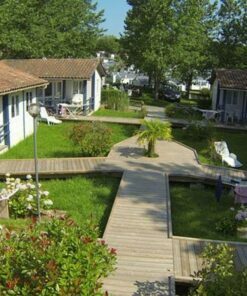 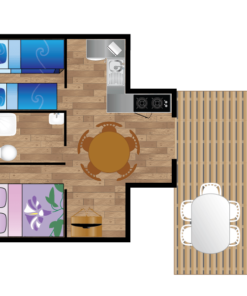 Renting unusual accommodation for holidays on the Basque coast is possible at Camping Oyam. 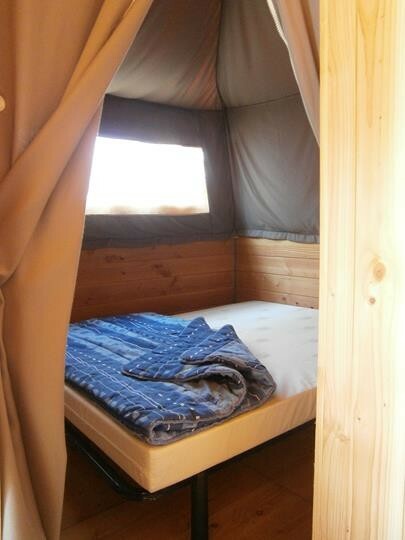 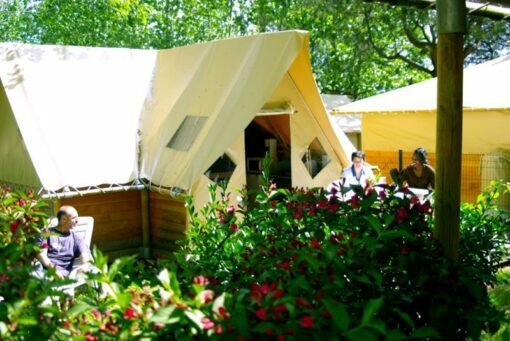 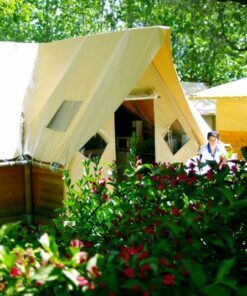 The Artzamendi Lodge tent offers all the charm of wood and modern comfort for up to 5 people. 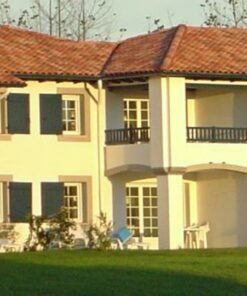 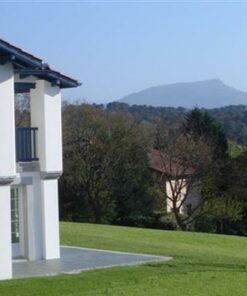 You will have a great holiday in the Basque Country. 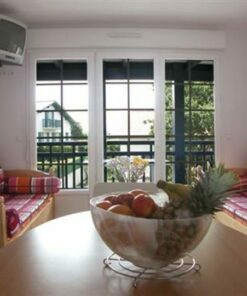 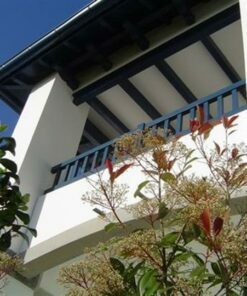 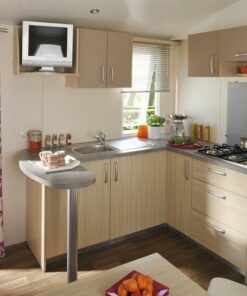 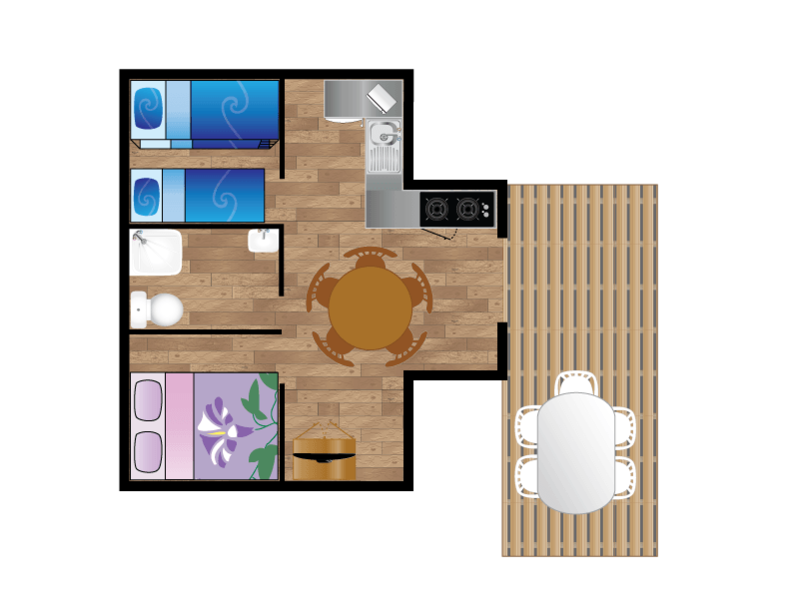 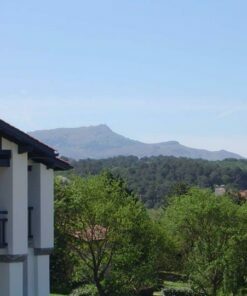 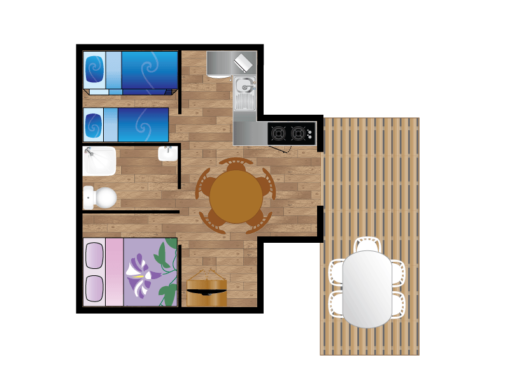 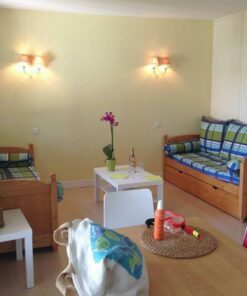 In addition, this holiday rental is equipped with sanitary facilities and a kitchen that will allow you to be fully independent. 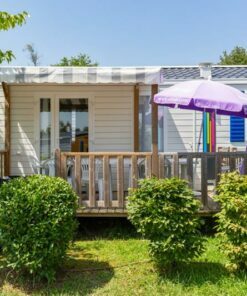 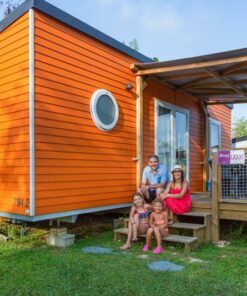 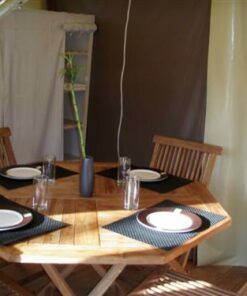 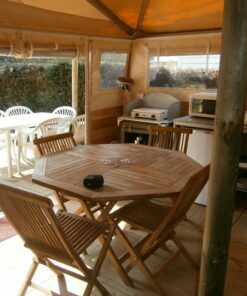 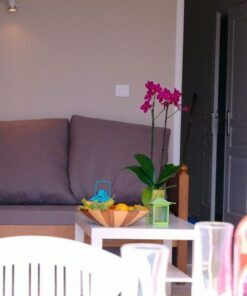 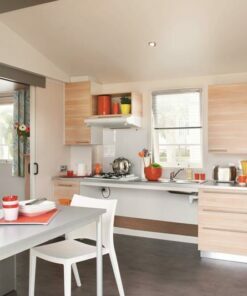 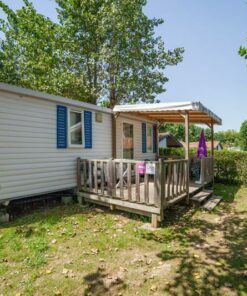 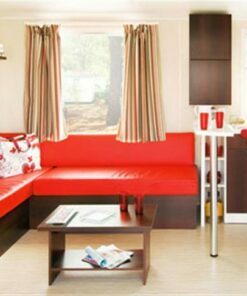 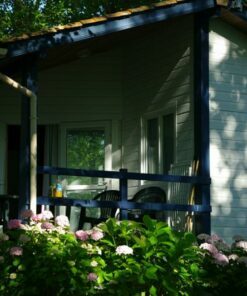 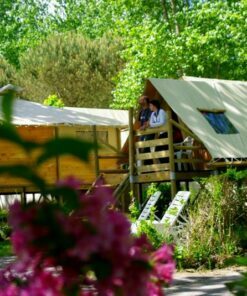 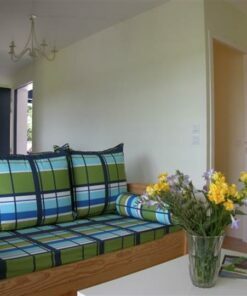 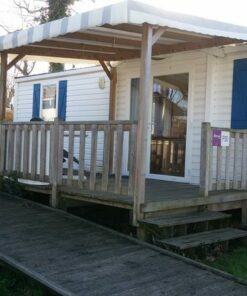 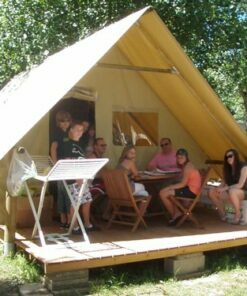 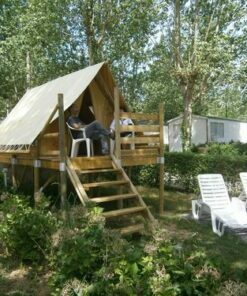 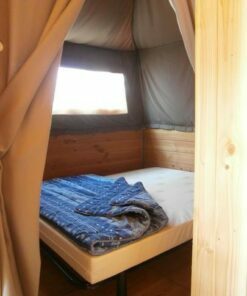 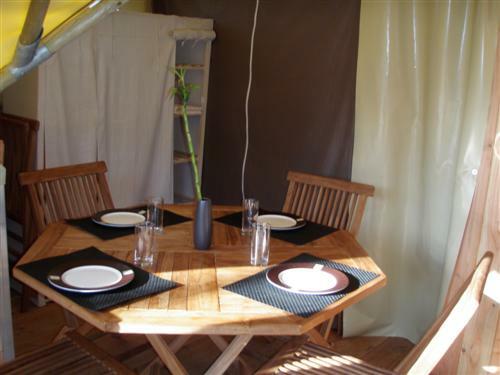 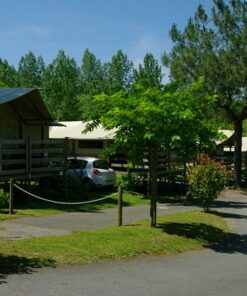 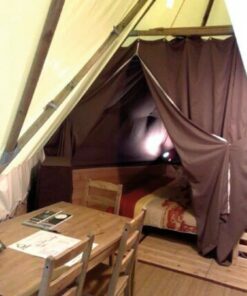 In Bidart near Biarritz, offer yourself an extraordinary “Glamping” experience by renting one of our comfortable cabins.